Underground leak detection is a special type of detection used to detect leaks from water pipes, oil pipes, and gas pipes underground. This type of detection requires a high level of skill as well as the latest in detection technology. An underground detection expert is someone who specializes in detecting underground leaks and is mostly employed by businesses in the oil and gas industry as underground leaks can result in big losses for the company. However, the water company also employs experts in underground leak detection which work alongside machine operators, drillers and other professionals to find and eliminate leaks underground. How does underground leak detection work? 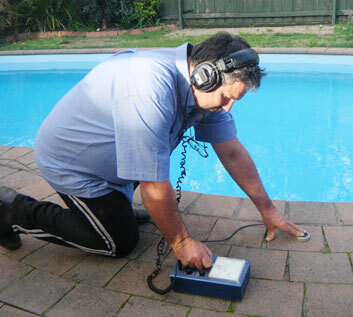 Identification of the leak: Instruments such as ground penetrating radars and surveying equipment are used to find out if there is a leak. Mapping software in conjunction with the blueprints of the layout is used to find exactly where the leak is and how bad it can be. The final step is actually patching up the leak which usually requires digging up the pipe to fix it. Detecting water leaks underground is easier than detecting gas or oil leaks, the reason being that water often rises to the top forming visible puddles of water. However, this only happens if there is a big leak in the water pipe, smaller leaks can go unnoticed for several months unless proper detection tools and techniques are used. In addition the water company also installs sensors along their water pipes which alerts them anytime there is a leak; this minimizes overall damage to other pipes as well as loss of water supply to the area, so in a way this can be considered a sort of early warning system. These are usually businesses that work on a freelance contract basis for large corporations as well as individuals, their job is to help detect and fix leaks. Often times a home owner may call in an expert to find out if there is a leak under their property since leaks can end up costing a home owner thousands of dollars in repairs, not to mention the fact that he may have to leave for the duration for the repairs so it is in his best interest to eliminate the leak as soon as possible. Finding oil leaks is not as easy as finding water leaks but because many businesses install early warning leak detectors a leak can be discovered as soon as it happens. Many times the pipes will be lined with sensors which will sound off an alarm in the control room, from where repairmen will be dispatched to repair the leak. This ensures minimum down time for the business as well as ensures that environmental codes are not violated because of the leak. In most cases the affected line will be turned off for a few hours until the leak is repaired.